People born specifically on the 12th of August are imagined to be intellectual and idealistic with spirited opinions and the usual Lion wit and versatility. 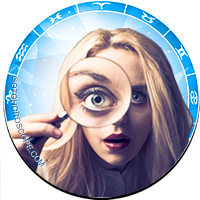 The ruling astrological planet selected for this particular day is Jupiter intensifying your innovative side and making you highly curious and occasionally a bit restless. If you have this birthday an excellent communicator you are full of ideas and ordinarily stimulated by variety and change. 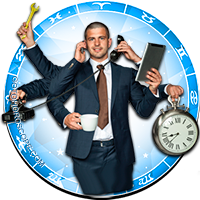 A multi tasker you really enjoy a challenge and are inclined to be especially good at bouncing back from setbacks. Friendly and fairly open you are likely to have an intuitive thirst for learning and taking advantage of opportunities. Individuals with an August the twelfth birthday possess an easygoing, practical and rational nature with caring and rather sensitive emotions. Your strong will and determination make it unlikely for you to quit easily once you have started to fulfill a desired ambition. Embarking on a period of study is not unusual to a person born on the twelfth of August in their pursuit of an ideal career. Your ambitious practicality, intellect, artistic talent and striving for perfection can all guide your work choices. You tend to place more importance on a certain degree of personal satisfaction while working above the job's financial rewards. When you find a suitable occupation you generally aim to progress as far as you can within the workplace. Your versatile optimistic approach and wittiness make you a valuable asset wherever you opt to utilize your skills. 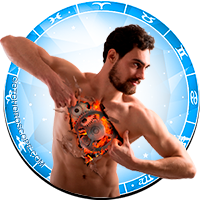 For a Leo, the person born on the twelfth day of August is typically someone with a huge heart and very enthusiastic about love and romance. Emotionally you are commonly empathic so therefore inclined to be perceptive and compassionate when involved romantically. When searching for your idealized partner you focus on friendship as a strong sense of physical and spiritual togetherness is important for you to feel truly loved. In addition to appealing to your need for a complete closeness a soul mate must also share your interests, opinions and aspirations. 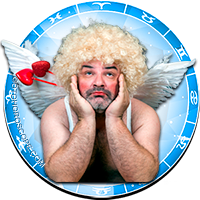 Stroking your ego and showing you appreciation are two of the best ways to initiate your affectionate inner sensitivities. Proud and protective your pride is easily hurt and you can be quite prone to jealousy without much provocation if you are feeling particularly unloved. Unhealthy choices can have a big impact on the usual healthiness experienced by those born on August 12th. Your desire for a high standard of living may sometimes incite you to overindulge in things that could be bad for your overall well being. People born on this day should aim to drink the recommended amount of water per day as well as considering a regular form of exercise to stay toned. Having fun is often a great medicine for boosting your health as it helps relax you and so partly counteract your emotional reactivity and ward off feeling of repression, frustration or anger. Your main strengths of character are probably seen in the knowledgeable, serious and faithful side of your temperament. These advantageous traits harmonize well with your secondary fortes of determined optimism, clever creativity and brilliant sense of humor. When this collection of your positive attributes unite there is not much that you cannot achieve when you set your mind to it. 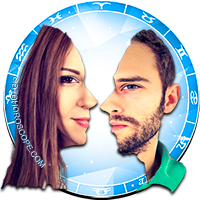 The personality weaknesses for those born on August 12th are mainly based on your tendencies to overreact due to the fragility of your emotions. On these occasions your behavior can switch to moody and tyrannical. Being born on the 12th of August usually gives you a degree of idealism that is naturally directed by a mix of principle and purpose. It is this predilection for morality and your resolute attitude that spurs you on to normally accomplish a large number of worthwhile goals. You are inclined to measure your success by increases in your understanding of others and knowledge, rather than the acquisition of skill qualifications or materialistic possessions. Professional ambitions will for the most part take second place to your greatest dream and yearning for a secure togetherness in your relationship. As you were born on the twelfth day of the month the one and two in your birth date generate a Root number of Three. This numerical reference to your birthday has the keyword 'Innovation' emphasizing your originality, efficiency and innovational thought processes and methods. In Tarot the 12th card in the Major Arcana representing the Hanged Man is associated with your birthday. This reflects your easy acceptance of changing circumstances and the overcoming of difficulties. The lucky gemstone for August the twelfth birthdays is an Amethyst, wear it for remaining in touch with your perceptivity. 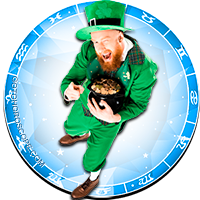 All Leo personalities are believed to have their probabilities astrologically influenced by the power of our Sun. 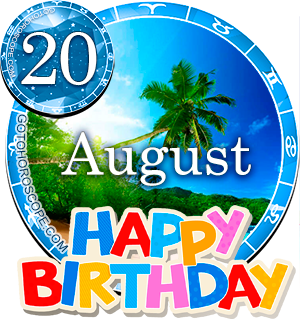 The actual day you were born on, the twelfth of August, is ruled over by the planet Jupiter's authority. 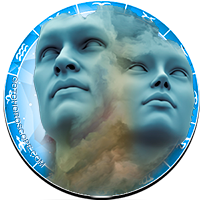 Consequently the influences of these 2 planets are thought responsible for predicting your uniqueness. Your intense curiosity and tendency to stick to decisions and viewpoints accentuates your disciplined focus and direction. Your realistic approach and hopeful outlook should prove to be incredibly useful guides on the many paths of life's journey. If you are able to improve the balance of your reactions it could minimize your proclivities for moodiness and bossiness making you a bit calmer all round. A concluding thought for people born on August the 12th offers some advice to follow if you wish to promote and hold on to contentment. You should strive to not be disapproving of things you do not understand and endeavor to laugh more and stress less. That's me. Proud to be one. Felt like I am the one who wrote this! I am shocked to see how accurate and correct that is. Heeey Am an August 4th Leo with a dream to unite us Leos from around the world so we can share different life experiences.Whatsapp me thru +255768963915 and get connected with yo Leo brothers and sisters in a group.. RoaR!!! This is so precise. Just me. Never thought these signs and meanings read are real till today. Waoh! We are lucky to have a strong sign. Use it usefully. 99 % of the above is me !